Credible Teachers of Mindfulness: How can you know? Mindfulness-Based programs have become the go-to treatment around the world and their popularity has made treatment more accessible in many ways. Despite the popularity or maybe because of it, several articles have argued against mindfulness because it (1) seems to be the fix-it for many ills, (2) doesn’t stay true to its Buddhist roots and (3) understates its “dark side”. There is concern that mindfulness therapies and programs are often sold as much better than the traditional methods of treating depression, anxiety, and other psychological disorders. Such concerns were supported when a recent study showed that statistically mindfulness-based therapies (MBTs) have a moderate effect when studied in comparison with wait-list controls and when participants are compared to their pre-post scores. More than that, MBTs are not better than traditional cognitive behavioural therapy or pharmacological treatments. The deepest concern however relates to the qualifications of those who teach mindfulness as more and more programs are offered by individuals and groups with little or no training in mindfulness concepts and approaches. Elisha Goldstein, writing for the magazine Mindfulness, re-stated some of these issues that constitute a “mindfulness backlash” in his recent blog post which claimed that there is little evidence for a backlash. 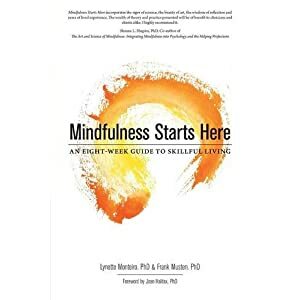 What stands out in his discussion about the issues facing programs that offer mindfulness is the emphasis on trusting that “skilled mindfulness teachers” will neither over-sell the treatment scope and that “credible teachers” will walk participants through their misunderstanding of what is mindfulness. Goldstein goes on to say – even more emphatically – that it is important to seek out teachers who are well-trained. He adds a link to finding qualified teachers via the Center for Mindfulness at the University of Massachusetts, the birthplace of Mindfulness-Based Stress Reduction (MBSR). What is left unsaid however is that the focus of all discussions and debates of mindfulness programs are anchored in the original one, Mindfulness-Based Stress Reduction (MBSR). This particular program was developed by Jon Kabat-Zinn and the acronym has taken on an iconic status much like the terms Xerox or Kleenex. When most professionals discuss mindfulness programs they are typically referring to MBSR unless it is clear from the outset that the topic is related to Mindfulness-Based Cognitive Therapy (MBCT). This assumption leads to confusion because MBSR, while being the original, is not the only mindfulness treatment program. Does it matter? Absolutely. While most programs have a similar format (8-10 weeks, groups, meditation and yoga, etc. ), significant aspects of the program will differ. Even more than that, the type of training and confirmation of skills of the teacher will differ considerably. And since Goldstein makes a very good point that we need to find credible teachers, it is important to note that not all qualified mindfulness teachers will have been trained in MBSR itself. Recently, the Center for Mindfulness at the University of Massachusetts (CFM-UMass; the home base for MBSR and training of MBSR teachers) announced a format of teacher training that includes training those who will train teachers. While it’s perfectly understandable that CFM-UMass has taken a firm stand in cultivating MBSR teachers, this move is not without its detractors. However, it will filter those who have been teaching without full training at CFM-UMass and passing their programs off as MBSR. Nevertheless, this raises a difficult issue for those who have been trained in approaches that are not MBSR but which are legitimate approaches; the cachet of the term MBSR now takes on a more serious tone because many identify it as THE treatment program and may be confused by others. That being the case, it is important to know that there are a number of other training centres that train teachers for mindfulness programs. The M4 Program, Ottawa Mindfulness Clinic. The M4 (includes Mindfulness-Based Symptom Management; MBSM) training is in-depth and takes as long as a year. It requires applicants to have a clear rationale for wanting the training and expects a high level of participation. They attend the 8-week program as participants and do twice the expected formal and informal practices. They must attend a silent retreat in the year of their training. Current research and topics in mindfulness treatments are researched especially in their area of interest of specialization. They attend a training in the specifics of the delivering the program and in cultivating teacher qualities. Before teaching the M4 potential teachers must teach under supervision (qualification level) and then teach for 3 sessions with senior teachers in the clinic for Certification. MBSR, University of Massachusetts, Center for Mindfulness. This is the original MBSR program and the training is extensive. MBCT, The Centre for Mindfulness Studies. The training in MBCT is offered through various forms of study and teacher development. This program is supported by the Factor-Inwentash Faculty of Social Work (University of Toronto) which offers a certificate in MBCT. MiCBT, Mindfulness integrated Cognitive Behaviour Therapy. An approach to mindfulness that weaves together Western psychology with Eastern principles of mindfulness. Training is comprehensive and a graduate diploma is offered for teachers. Applied Mindfulness Meditation, Faculty of Social Work, University of Toronto. This program offers what is likely one of the most extensive trainings in mindfulness, meditation, and all its attendant components. Training in the UK. This website lists various programs that train mindfulness teachers, including MBCT teachers. Rebecca Crane and her colleagues at Bangor University have also developed a teaching assessment protocol for the cultivation of mindfulness teachers which is a gold standard for any teacher who is dedicated to cultivating their skills. Mindful Self-Compassion, Center for Mindful Self-Compassion. Developed by Christopher Germer and Kristin Neff, Mindful Self-Compassion (MSC) has developed a following in the last year as the teacher training becomes more available globally. UCSD Mindfulness-Based Professional Training Institute. For training in various mindfulness-based programs such as Mindfulness-Based Relapse Prevention, Mindful Eating, etc. Institute for Meditation and Psychotherapy offers a certificate program in mindfulness and psychotherapy. The founding practitioners include Paul Fulton, Christopher Germer, Ronald Siegel, Trudy Goodman – all well-regarded in the field of meditation and clinical psychology. If you intend to take a mindfulness program, ask the sticky questions. It’s your health and your wellbeing. Be informed. The program may not be MBSR. And it may be something valid and well-supported in its own right.